It is the end of an era because the core of the Independent Democratic Conference was completly shattered. Veteran politicians shuffling into the Bronx Alehouse Thursday night were there to celebrate the end of an era — and maybe thank their stars they ended up on the right side. 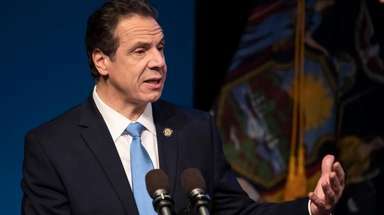 It is the end of an era because the core of the Independent Democratic Conference, that Albany power-sharing mechanism between renegade Democrats and State Republicans, was completely shattered. Chief among the victors was 32-year-old lawyer and Hillary Clinton campaign veteran Alessandra Biaggi, who took down the leader of the IDC, longtime Bronx State Sen. Jeff Klein. She was just one of the Democrats, along with Jessica Ramos of Queens, Robert Jackson of Manhattan and Zellnor Myrie of Brooklyn, who defeated one-time IDC members. Their collective victory is noteworthy because of the great power that the IDC had amassed before it was disbanded in April. Large campaign coffers and the reliable support of unions came with the IDC’s seemingly solid place at the Albany power-sharing table. Did you really want to go against one of the four men in a room who run New York State? Early in the campaign cycle, even in hyper-blue New York, the anti-IDC movement was limited to social media and off-the-record conversations. Biaggi underscored that underdog status. She is a political newcomer whose early campaign headquarters was in her parents’ house in Pelham Manor, where she had moved back in for the run, lacking a job but still owing student loans. Meanwhile, Klein had a hefty campaign war chest, which he used to blanket the airwaves with ads. But President Donald Trump’s election changed the equation. Suddenly politically engaged New Yorkers were taking a second look at the IDC set-up. Why were Democrats helping to give the State Senate gavel to Republicans, making it harder to bring progressive legislation to a vote? Now the IDC became “fake Democrats,” and suffered the ardor of thousands of activists and voters who couldn’t yet cast their ballots against Trump. And many of them turned out to the polls: in 2014, the last midterm cycle, just over 14,000 votes were cast in Klein’s district. This year, the Board of Elections had already tallied more than 30,000 before the beer stopped flowing at Biaggi’s campaign party south of Van Cortlandt Park in the Bronx. So Klein and Co. fell to the new energy in the Democratic Party. But the post-IDC era also was ushered in by candidates who had more going for them than a simple wave. The candidates were often deeply plugged into their districts — Biaggi is the granddaughter of a former congressman, for example — and stumped hard throughout. And they toggled smartly between the national and local issues, from Medicare for All to affordable housing, that Democratic voters wanted to hear. Will any of this change the balance of power in Albany? Democrats still need to win seats in non-NYC districts to take power in the State Senate. But now the possibility of a reborn IDC is much less likely, which may disappoint Senate Republicans who had been counting on the arrangement if they lost a few seats, possibly on Long Island in the fall. And the takedown of a historic Albany powerbroker likely sends a message to Democrats of all stripes ahead of their next date with the polls. Democratic NYC Comptroller Scott Stringer, who has been one of the savvier readers of the anti-IDC wave, said it best when he was granted the microphone at the Bronx Alehouse Thursday night. Voters have “changed the state in one election,” he said, a little giddy. Then he handed the mic quickly over to Biaggi.